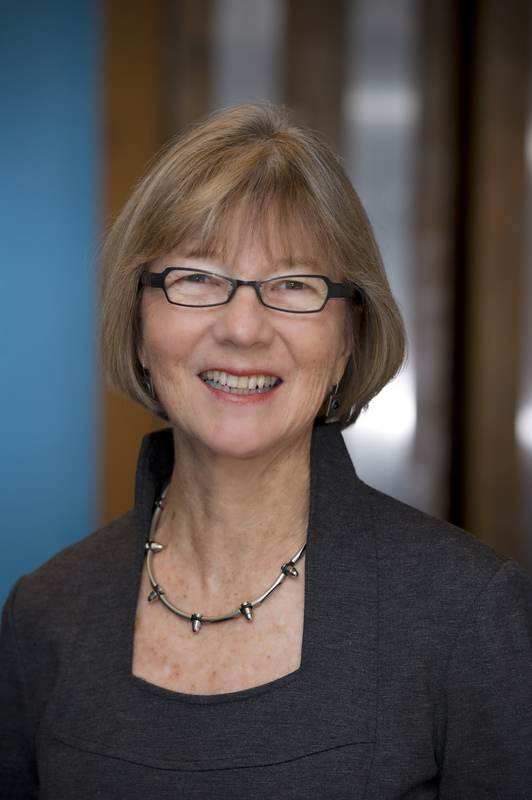 Nancy Birdsall is president emeritus and a senior fellow at the Center for Global Development, a policy-oriented research institution that opened its doors in Washington, DC in October 2001. Prior to launching the center, Birdsall served for three years as senior associate and director of the Economic Reform Project at the Carnegie Endowment for International Peace. Her work at Carnegie focused on issues of globalization and inequality, as well as on the reform of the international financial institutions. From 1993 to 1998, Birdsall was executive vice-president of the Inter-American Development Bank, the largest of the regional development banks, where she oversaw a $30 billion public and private loan portfolio. Before joining the Inter-American Development Bank, she spent 14 years in research, policy, and management positions at the World Bank, most recently as director of the Policy Research Department. Birdsall is the author, co-author, or editor of more than a dozen books and monographs, including, The Development Agenda as a Global Social Contract: Or We Are All in this Development Boat Together, The White House and the World: A Global Development Agenda for the Next U.S. President, and Fair Growth: Economic Policies for Latin America's Poor and Middle-Income Majority. She has also written more than 75 articles for books and scholarly journals published in English and Spanish. Shorter pieces of her writing have appeared in dozens of US and Latin American newspapers and periodicals. Birdsall has been researching and writing on economic development issues for more than 25 years. Her most recent work focuses on the relationship between income distribution and economic growth and the role of regional public goods in development. Birdsall is a member of the Board of Directors of the International Food Policy Research Council (IFPRI), of the African Population and Health Research Center, and of Mathematica. She has chaired the board of the International Center for Research on Women and has served on the boards of the Social Science Research Council, Overseas Development Council, and Accion. She has also served on committees and working groups of the National Academy of Sciences. Birdsall holds a PhD in economics from Yale University and an MA in international relations from the Johns Hopkins School of Advanced International Studies. Education and the MDGS: Realizing the Millennium Compact, by Nancy Birdsall and Milan Vaishnav. Reprinted by permission of the Columbia Journal of International Affairs (Spring 2005). Copyright 2005, The Trustees of Columbia University in the City of New York. The Brookings Institution Center on Social and Economic Dynamics Working Paper Number 5. September 1999. Putting Education to Work in Egypt, by Nancy Birdsall and Lesley O'Connell. Prepared for Conference, Growth Beyond Stabilization: Prospects for Egypt, sponsored by The Egyptian Center for Economic Studies in collaboration with the Center for Institutional Reform and the Informal Sector, University of Maryland; the Harvard Institute for International Development, and the US Agency for International Development, February 3-4, 1999, Cairo, Egypt. March 1999. Does governance matter for the long-run financing and effectiveness the multilateral development banks? Does their system of weighted voting matter for their long-run access to financing and their effectiveness as development institutions? Does the voting structure involve some tradeoff between the confidence of creditor countries in the different MDBs, and the sense of ownership, legitimacy, and trust of borrowers? A large proportion of revenue gains over the last two decades has come from countries’ efforts to improve the design and compliance of consumption and other indirect taxes, particularly the VAT (value-added tax); in doing so, the objective has been to minimize VAT’s regressive effects by exempting sales of small businesses below a threshold (where the poor typically tend to buy) as well as imposing zero tax on certain food and other products which take up a large proportion of consumption of poor households. Less attention has gone to expanding the coverage of potentially more progressive taxes, such as personal income and property taxes. The last time a global depression originated in the United States, the impact was devastating not only for the world economy but for world politics as well. The Great Depression set the stage for a shift away from strict monetarism and laissez-faire policies toward Keynesian demand management. More important, for many it delegitimized the capitalist system itself, paving the way for the rise of radical and antiliberal movements around the world. Nancy Birdsall, Augusto de la Torre, and Felipe Valencia Caicedo analyze the Washington Consensus, from its early beginnings to failure as a reform agenda. For the first time in its seven-decade-long history, World Bank staff staged a work stoppage earlier this month. Staff are unhappy about the “Change Process,” aka the ongoing internal reorganization that President Kim initiated on his arrival at the bank now more than two years ago. PovcalNet, the World Bank’s global poverty database, provides all kinds of country statistics, including mean income, the share (and number) of the population living in absolute poverty ($1.90), the poverty gap and several measures of income inequality, such as the Gini coefficient. But one thing it doesn’t provide is median income or consumption. The median is a better measure of “typical” well-being than the mean, which is always skewed to the right. We’ve been waiting for the World Bank to add these medians to its PovcalNet database, but we got impatient and did it ourselves. By manually running a few hundred queries in PovcalNet, we now have (and can share with you) the latest median income/consumption data for 144 countries (using 2011 PPPs — more on our methods below). Globalization is creating fresh opportunities for hundreds of millions of people. But the gap between richest and poorest countries is widening and inequality within many countries is increasing. CGD president Nancy Birdsall will testify this week before a U.S. congressional committee on ways that the U.S. can help to support fair growth in Latin America, where inequality, long a problem, is getting worse. Birdsall has written and spoken extensively on the relationship between globalization, inequality, and development. A new CGD initiative, Globalization and Inequality, provides an overview of the issues and brings together recent work by Birdsall and others on this important topic. On Friday, March 30th at 11:00 a.m. EST, Birdsall will answer questions live online about globalization and inequality via Ask CGD. In a recent article in the Boston Review, Inequality Matters: Why Globalization Doesn't Lift All Boats Birdsall begins by describing how high inequality in Latin America has undermined growth and poverty reduction. She contrasts this with East Asia, where lower inequality was an important ingredient in the East Asian miracle of rapid, sustained, poverty-reducing growth. Excerpts from Inequality Matters: After spending the late 1980s working on Latin America for the World Bank, I became involved in a major study of East Asia's postwar growth. The contrast between the two regions was notable: Latin America was stagnating while East Asian economies were growing rapidly, with tremendously high rates of private and public investment and savings. The emphasis on exports and the pressure to compete in global markets seemed to have worked… For economists… inequality has typically represented at worst a necessary evil and at best a reasonable price to pay for growth. So, for the most part, they have not been concerned with the apparent trend of rising inequality. Development economists in particular have focused instead on the reduction of absolute poverty. But in East Asia the textbook story seemed altogether wrong. One key to East Asia's success seemed to be its low initial levels of inequality, which were associated with the legacy of postwar redistribution of farm land in the northern economies and with subsequent high public investments in education, agricultural extension, and other programs in rural areas. In 1993 I left the World Bank to become the executive vice president at the Inter-American Development Bank. By then I was persuaded that Latin America's high inequality was an economic problem, slowing its growth, as well as a social problem. I advocated more research on the issue… Subsequent work by many economists has strengthened my conviction that while inequality may be constructive in the rich countries--in the classic sense of motivating individuals to work hard, innovate, and take productive risks--in developing countries it is likely to be destructive. That is especially true in Latin America, where conventional measures of income inequality are high. It also may well apply in other parts of the developing world, where our conventional indicators are not so high but there are plentiful signs of other forms of inequality: injustice, indignity, and lack of equal opportunity. Now globalization is creating pressures that tend to increase inequality. We need to understand what those pressures are and how they operate as today's increasingly integrated global economy raises the bar of competitiveness. How might they best be managed, within countries and at the global level, to avoid their potentially destructive effects on growth? We have a potentially powerful instrument to increase wealth and welfare: the global economy. But to support that economy we have an inadequate and fragile global polity. A major challenge of the 21st century will be to strengthen and reform the institutions, rules, and customs by which nations and peoples complement the global market with collective management of the problems, including persistent and unjust inequality, which markets alone will not resolve. We argue that survey-based median household consumption expenditure (or income) per capita be incorporated into standard development indicators, as a simple, robust, and durable indicator of typical individual material well-being in a country. In this paper we identify a group of people in Latin America and other developing countries that are not poor but not middle class either. We define them as the vulnerable “strugglers”, people living in households with daily income per capita between $4 and $10 (at constant 2005 PPP dollar). They are well above the international poverty line, but still vulnerable to falling back into poverty and hence not part of the secure middle class. In a first step, we use long-term growth projections to show that in Latin America about 200 million people will likely be in the struggler group in 2030, accounting for about a third of the total population. Global governance is no substitute for a country’s own well-managed policies of politics and economics, but the interconnected nature of our world demands that our leaders recognize the necessity for global coordination to keep pace with the for a more farsighted global order. In this paper, Nancy Birdsall sets out basic information on the growing middle class in Latin America and the Caribbean and provides grounds for optimism that such expansion might reinforce the inclusive politics that sustain broadly shared growth. In this working paper, the authors investigate the relation between class (measured by the position in the income distribution), values, and political orientations using comparable values surveys for six Latin American countries.